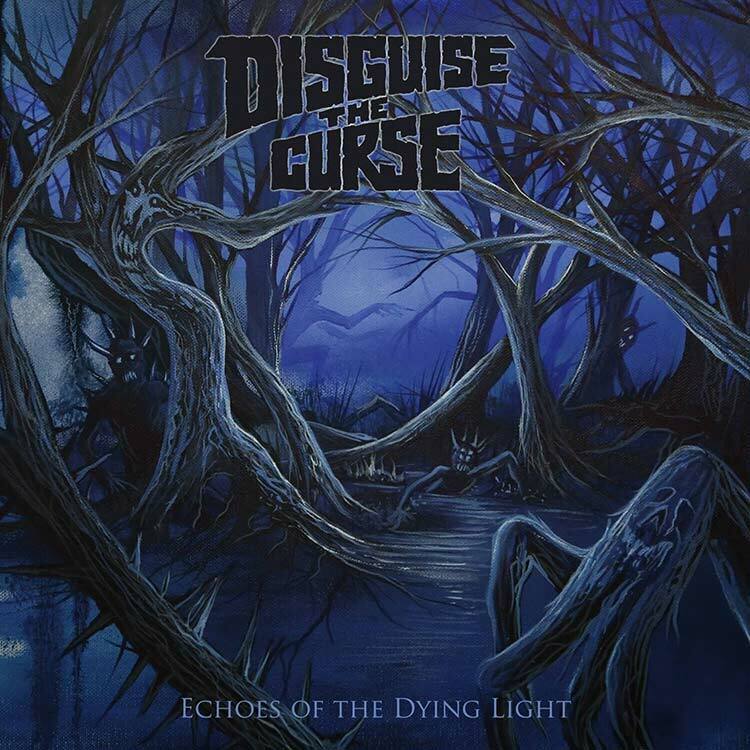 Disguise the Curse are household names of Western Massachusetts metal. The band is a breath of fresh air to the current generation of Massachusetts metal. Their first full length album, dubbed Echoes of the Dying Light, serves as an exclamation point to the band’s musical reputation. Groove meets gloom in the first three tracks of Disguise the Curse’s magnum opus. The trifecta of “Caverns”, “Lord of the Deep”, and “Ghost” delivers an emphatic feeling of excitement towards the album’s roller coaster ride. It’s a sensory overload, but will leave you craving for more of the tracks’ sound. “The Devil’s Hand”, batting in the cleanup spot, presents an evil 180-degree turn from the leadoff tracks. It is a slow, arduous descent into madness that is painted with a soft opening instrumental that unsuspectingly and deceivingly leads into a sludgy and grim sound. The number is a simple but crushing, with the spearhead lead by the chugging guitar riffs of lead guitarist Joshua Bednarski and the devilish screams of vocalist Michael Merrill. “Porcelain” and “Hyde”, the sixth and eighth track in the 11-track album, are the true pearls of the collective. The tracks give the listener well deserved breaks after enduring the barrage of demonic riffs from the other nine tracks. They are, by far, the band’s most dynamic and unique pieces, which to my surprise, happen to be their least heavy sounding ditties. This should serve as a lesson to future generations of musicians that track placement in an album and varying tempos and sounds are key to the professional development of musical artists. The album’s closing song brings the enclave of musical numbers to an enjoyable ending. The group’s rendition of Black Sabbath’s “Into the Void” respectfully pays homage to the demi-gods of metal that are an ever-present influence on the band’s sound. Echoes of the Dying Light is a unique and well-crafted album. It should serve as a must listen for budding metal musicians, regardless of the subgenre. After four long years of patiently honing and refining their sound, Disguise the Curse delivered one of the most spectacular albums in Western Mass. metal. This won’t be the last we hear from Disguise the Curse, nor will it be the end of their musical evolution. It can only go upwards from here for these Massachusetts groove-masters. Purchase Echoes of the Dying Light here. Tillie Releases New Single, “Pink & Blue” – Listen Now!